This hard hitting American is enjoying a breakout year and adores playing on grass. Thumped tournament favourite Konta just two weeks ago. 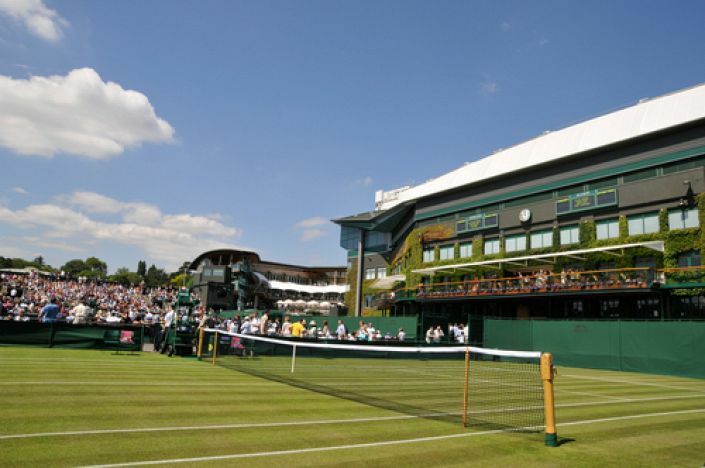 As Wimbledon takes its Sunday mini-break there’s still plenty of good money to be made if we can pick the winner on the seemingly wide-open Ladies’ side. Johanna Konta has somehow wound up the favourite (6/1) but that could be more of a curse than a benefit with the crowds suddenly expecting a first British female success story since 1977. That’s huge pressure on a 26-year-old who has only once been beyond the 4th round of a Slam. Current world number one Angelique Kerber (12/1) has performed miracles just to reach round four and has done nothing to suggest she can go all the way while Venus Williams is 37, going through a lot off the court, and hasn’t triumphed at SW19 since 2008. Instead we should pin our hopes on a best price 8/1 (PaddyPower) shot, Coco Vandeweghe, with a game built for grass. The American has one of the best serves out there and a ferocious forehand which has seen her cruise into the last 16 with consummate ease. Next up she faces Caroline Wozniacki, who has lost all six times she has reached the 4th round at Wimbledon. We have no reason to expect that sequence to end on Monday. Vandeweghe hammered Konta 6-2 6-3 in Birmingham a fortnight ago but the market is taking its time to realise the force she is becoming.